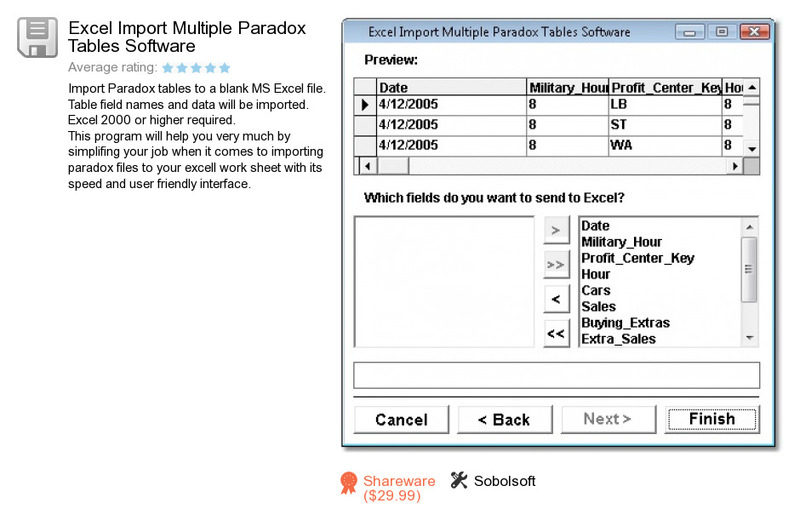 Excel Import Multiple Paradox Tables Software is a product developed by Sobolsoft. We know of version 7.0. Version 7.0 is available for download at our site. Excel Import Multiple Paradox Tables Software package has a size of 20,952,354 bytes. Sobolsoft also publishes Random Name Generator Software and Excel Absolute Relative Reference Change Software.